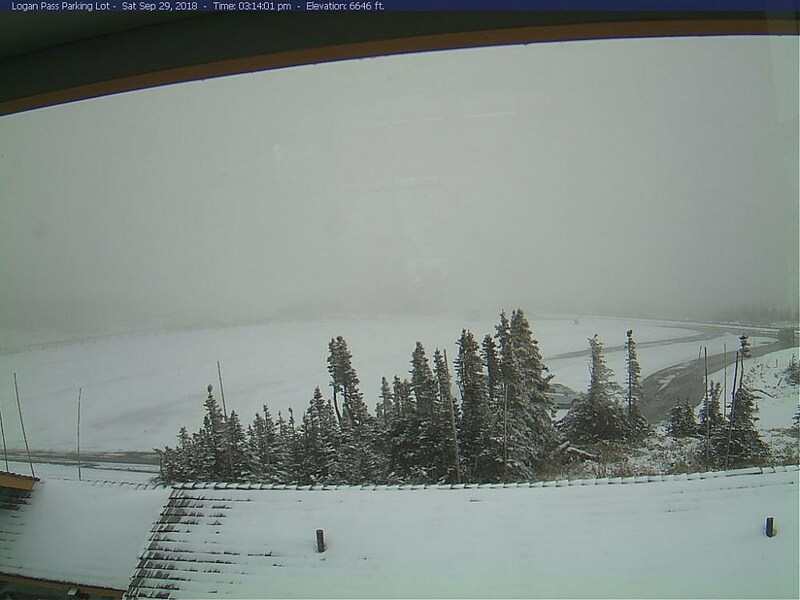 The webcam at Logan Pass showed quite an accumulation of snow on Saturday afternoon. Hello, winter in the high country! Glacier National Park’s Going-to-the-Sun Road was temporarily closed Saturday afternoon because of black ice, accumulating snow and low visibility. A closure announcement said rangers will keep a close eye on road conditions and road crews will work to clear the road where they are able to do so safely. It’s likely, though, that the Sun Road will be closed for a day or more. The National Weather Service has issued a winter weather advisory from 9 p.m. Saturday until 3 p.m. Sunday for the west side of Glacier Park. A winter weather advisory is already in effect for the east side of the park. Forecasters say up to 6 inches of snow are likely above 4,500 feet west of the Continental Divide. Three to 6 inches of snow are expected east of the Divide, with localized accumulations of more than 12 inches. For continued updates, watch the Current Road Conditions section of the Glacier Park website and the park’s feed on Twitter. Park officials said other roads also may be impacted by the winter weather, especially those in the Two Medicine and Many Glacier areas.